To say that the rumors swirling around the next fight for WBC Heavyweight Champion Deontay Wilder (40-0-1)(39 KOs) were too many to count would be an understatement. The biggest rumor circulating was that DAZN and Matchroom Boxing USA had offered a three fight deal worth upwards of $100 million to the Wilder camp. When it became apparent that Wilder, who is a promotional free agent and is managed by the legendary Shelly Finkel, would not take the large offer, outcry against the champion began to occur from many boxing insiders and fans throughout the world of social media. Involved in the proposed deal was $20 million for a first fight in May against a top contender and his mandatory challenger Dominic Breazeale (21-1)(18 KOs), as well as two fights against the unified WBA/WBO/IBF champion Anthony Joshua (22-0)(21 KOs), with a reported $40 million for the first fight and a subsequent rematch being offered. What was not accounted for was the fact that while the numbers were high and there were guarantees from the streaming service DAZN, the fights against Joshua would determine who the best heavyweight in the world is and would be tantamount to the largest business that the sport. It would be the type of financial gain that would make past super fights like Lewis vs. Tyson look small. These super fights between the two champions would no doubt equal a huge bump in terms of paid subscriptions to DAZN. Something that Wilder in this first offer would not have any percentage of. Guarantees from DAZN, while large, do not account for all the other revenue that would be generated. Revenue from things like sponsorships, possible percentages from the purchases of pay-per-view buys, as well as the live gate. While $80 million for two fights with Joshua sounds like a no brainer, in terms of where Wilder is as a brand name as the only current American heavyweight champion, the possibility to make more money and upwards of $50-$75 million for a single fight with Joshua, if it were broadcasted on pay-per-view, would make any fighter consider alternate routes. DAZN, for their part will continue to broadcast title defenses from Joshua. However, until a business model is created where fighters who are not signed to Golden Boy Promotions or Matchroom Boxing can reap benefits from the revenue generated aside from a guarantee, such as the possibility of a percentage from new subscriptions generated from the announcement of the mega fight, or the monthly fee being raised from $9.99 a month to $25-$30 for the months that a Wilder-Joshua fights would be scheduled for, they will struggle to attract talent like Wilder. 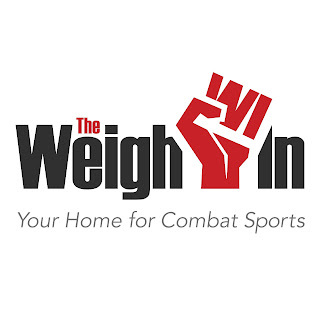 With the monthly cost returning to its original $9.99 once the fights and months they are scheduled for are completed, these suggestions are just food for thought at this point and are things that will be kicked around by the brass and decision makers. One thing is clear though, top tier champions and independent fighters like Wilder will continue to compete away from signing to streaming services if the details of super fights are not ironed out. 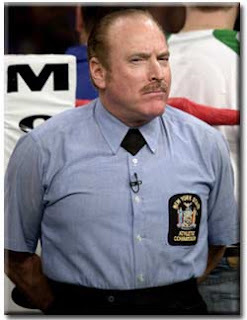 Wilder for his part is making it clear that like several past big named champions in the sport (Sugar Ray Leonard, Mikey Garcia, and Floyd Mayweather) is adamant that he will retain his independence from any promotional outfit, electing instead to continue to work with established relationships (PBC), unless an offer is made that he can’t refuse. 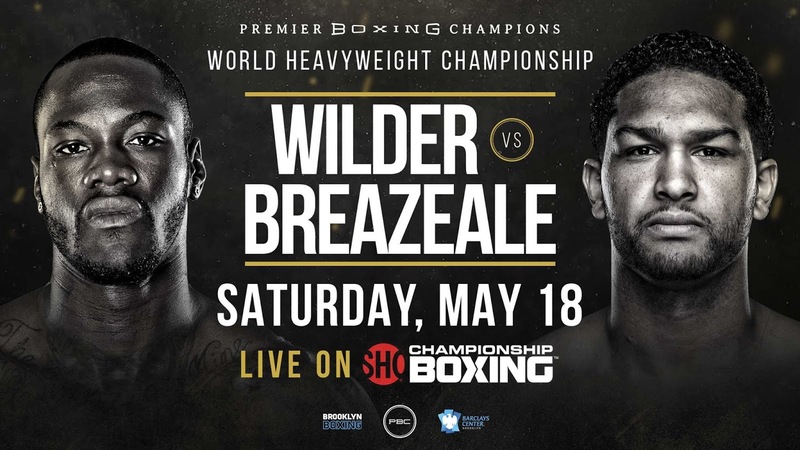 This brings us to the announcement today from Brooklyn that Wilder will indeed return to the ring on Saturday, May 18th against Breazeale. While this seems to be a fight that can turn out to be entertaining, Breazeale, unlike Wilder's last opponent Tyson Fury does not carry a name large enough for the fight to be carried on pay-per-view. As a result, and to the credit of Wilder, a deal was struck for the fight to be broadcasted live on Showtime. Details of this deal have not been released, but it proves that Wilder is once again banking on himself as the premier heavyweight name (especially in America) as he continues to build his name and brand. It’s a gamble on himself that if he continues to be victorious can pay off in the end when the eventual negotiations between the Wilder camp and Matchroom Boxing, the promoter of Joshua, start up again after Joshua’s title defense in June. How this all plays itself out will be interesting to see. One thing is for sure though, however this type of mega business is done to satisfy all parties involved could lead to a trickledown effect that will benefit boxing and its fans. Other less lucrative super fights in the sport, such as Crawford-Spence or Lomachenko-Garcia, could in turn be figured out by the parties involved based off how Wilder-Joshua is eventually made.